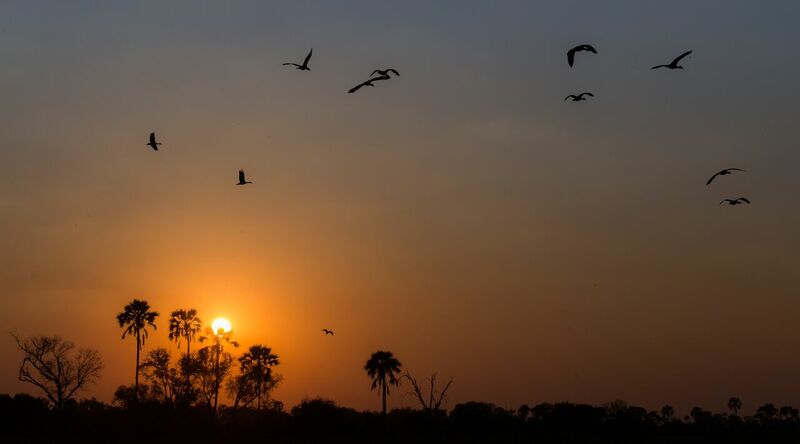 Sustainable tourism is close to a religion in Maun, with Okavango lodges now leaving a barely there footprint on the dramatic landscape they operate in. 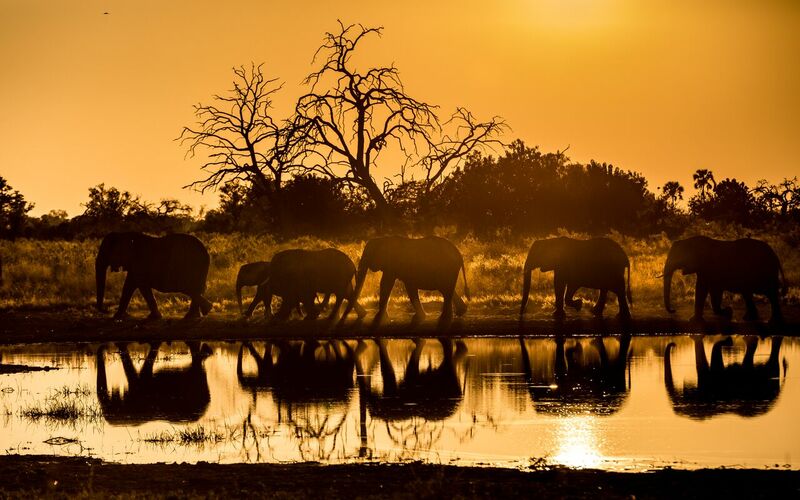 A world-leader in environmentally friendly tourism, the accolade for this is partly down to the Botswanan government, which has a grading system called the Eco-Certification Programme. This awards ratings to tourism operations on factors including the people and their culture, the environment and wildlife. 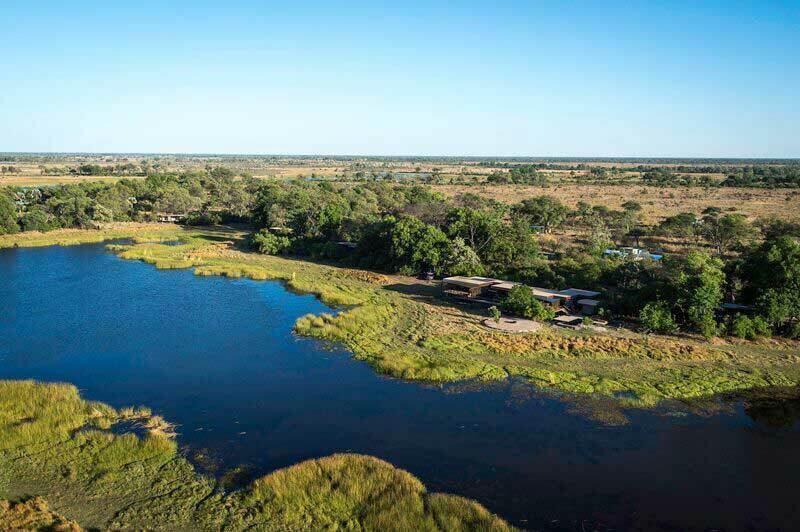 Only those that pass are then allowed to open camps in the Okavango – as a result, only companies with flawless credentials can operate there. Unlike the 30-room hotels with concrete foundations that are an eyesore – and a wildlife disruptor – in many other African countries, Botswana has small, sustainable lodges that can be dismantled without leaving so much as a patch of flattened grass. 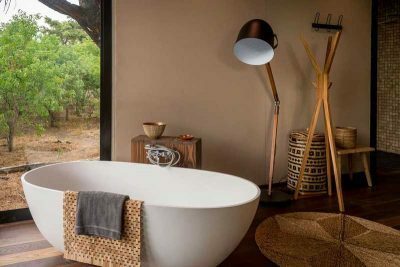 Wilderness Safaris has been a pioneer in this tourism model since the 1980s – each new lodge they open shows off a whole new set of methods that ensure the role humans play in the bush is edging closer towards invisibility. 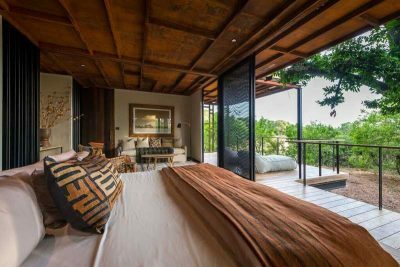 And this certainly doesn’t stop once the site has been chosen – all of these Okavango-based lodges keep the environment and the wildlife a number-one priority during the building process and beyond. 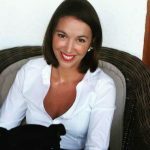 And in many ways, this adds to the guest experience, as one quickly comes to realise that however attentive the staff are, the animals and the surrounding area really do come first. The materials used are essential to this. Timber, canvas and thatch form the base of most lodges which are sourced locally where possible. Cement and brick, meanwhile, have become dirty words in the Okavango language. Solar systems are central to the running of the camps through panels, inverters and batteries, and most are entirely powered by the sun. Drip trays prevent contamination of the soil, as do eco-friendly paints and chemical treatments with no volatile organic compound levels. Once the camp is built, trails and airstrips need to be drawn – ones that are pretty enough to get guests snapping photos, but with a minimal impact on sensitive soil types and vegetation. Once guests get to camp, they will see that all waste is disposed of organically, water conservation systems are put in place, and only environmentally friendly detergents, shampoos and soaps are used. But Wilderness’ latest Botswana offering, Qorokwe Camp, is rather unusual. It is, of course, rather delicious to look at – it’s also the first camp to use steel moulds rather than wooden ones. Designed by architect Joy Brasler, these steel frames have infill panels that insulate against heat and cold, canvas and timber decks. “We are also excited to have used a new building technique for the Delta, one that comprises of an entirely steel sub-structure”, says Crous. “Although this is more expensive than building with wood, we believe that it is a more environmentally and economically sound method in the long run – requiring fewer ‘reconstructions’, as well as being easier to remove, thus leaving less of an environmental footprint. In addition, using steel removes the threat of termites – therefore there is no need to put chemically treated wood into the ground where it may affect the immediate environment”. Every year, the Africa lovers who build and sustain these camps come up with evermore ingenious ways to ensure that the animals and the environment they have built their lives around can continue to exist as they always have – with just a few lucky human beings watching it happen.